CY (PA) John Brooks Brown, son of Mr. and Mrs. W. R. Brown, Graham, husband of Madge Sirmon, attended Graham High. 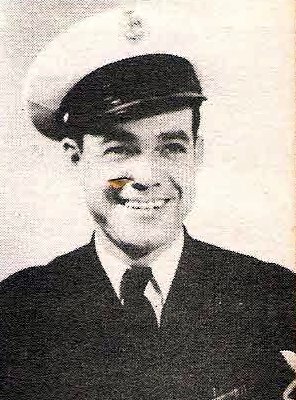 Entered Navy, 1939, trained in San Diego. Served in APO Theater on USS W. Virginai and USS Manila Bay. Awarded 7 Battle Stars. Discharged in 1945.